We know, that not all tourists are enthusiastic about long walking tours. 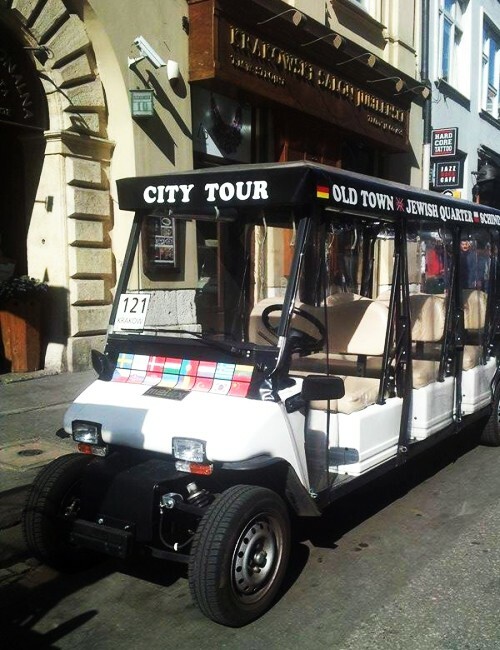 For those, who are particularly keen on comfort, we offer melex Krakow sightseeing (melex is a small electric car). During the tour we could visit all the most interesting places in Krakow. We offer You the ride through the charming streets of the Old Town, then admiring the wonderful view of the Wawel Hill towering over the city and driving to Kazimierz. In this beautiful, climate district we will see two dazzling Gothic basilica and the Jewish quarter with its 7 historic synagogues. Our route goes then to Podgórze, where we will listen about the dramatic fate of Krakow Jews during the World War II and visit the places of memory in the former Krakow Ghetto. The tour ends in the Oscar Schindler’s Factory (Schindler was a German industrialist who save more than 1000 Jews from extermination, employing them in his production plant). This itinerary is only a proposal. We are open to all Your suggestions and welcome all Your ideas. It is also possible to realize only part of the route. 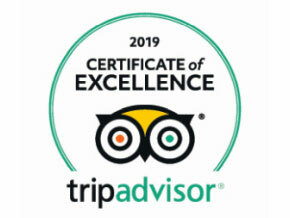 We will gladly organize Krakow sightseeing according to Your wishes. During the tour You may be accompanied by licensed Krakow guide or use the audio-guide. We can guarantee You the appropriate sound system and excellent visibility. Using the eco-friendly, electric car is a great idea, when the weather is unsatisfying (cars are equipped with special covers to protect passengers against rain and wind). Enjoy the most amazing views of Krakow in comfortable conditions! The unforgettable ride through the atmospheric streets of Old Krakow. During the sightseeing we do not miss the monumental remains of Krakow city walls – the famous Barbican and St. Florian’s Gate. The vast, delimited in the Middle Ages space of the Main Market Square will certainly delight You. We will see there the buildings, that are true symbols of Krakow – St. Mary’s Church, Renaissance Cloth Hall and Town Hall Tower. What else can we visit, driving to the Wawel Hill? It depends on your wishes! As particularly recommendable we see two Gothic churches (Dominican and Franciscan) near the Plac Wszystkich Świętych (All Saints’ Square) or Grodzka Street with an excellent baroque temple of SS. Peter and Paul and nearly 1000-years old Romanesque church of St. Andrew. On the Wawel Hill we could admire the medieval Cathedral of Saints Stanislaus and Wenceslaus and the Royal Castle with its beautiful courtyard. Welcome to a place, where the Polish history was being created for centuries and where the Renaissance art flourished for the first time on Polish lands! Former Kings rests here in their magnificent tombs, immersed in an eternal dream. In particularly solemn moments it is possible to hear the deep sound of famous Sigismundus Belll from one of the Cathedral towers. Great architecture, stunning works of art and amazing historical memorabilia – these are the main attractions of the Wawel Hill. Do not forget about the wonderful view of the Old Town and the Vistula River from the Hill and about the legendary Wawel Dragon and his dark cave! Once a separate town founded in the Middle Ages by King Casimir the Great and now one of the most beautiful Krakow districts. At the very end of the 15th century Krakow Jews were settled here in the quarter around the present Szeroka Street. We will see the most significant monuments of both the Jewish and Christian heritage. We want to show You the famous church and Pauline Monastery ‘on the Rock’ and two great medieval, Christian temples of Kazimierz – St. Catherine and Corpus Christi. Our tour is also an opportunity to visit the group of 7 historic synagogues of Kazimierz (phenomenon in European scale! 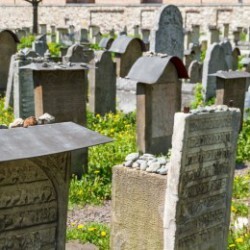 ), starting from the 15th-century Old Synagogue and the Reneissance Remuh Synagogue with nearly 500-years old cemetery. 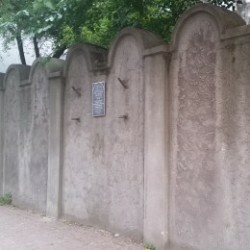 Krakow Ghetto was created in Podgórze district in 1941 by the German military administration of the occupied Poland and existed for over two years. Liquidation of the separate Jewish district in March 1943 claimed thousands of victims. This tragic events are commemorated on the Ghetto Heroes Square, where the Nazis gathered people to be deported to concentration camps. Nowadays, there is a unique monument – dozens of great chairs spaced evenly on the square. It is a reference to the huge number of furniture and everyday objects left behind on the streets by deported or murdered people. There is also the famous Eagle Pharmacy, which Polish owner, Józef Pankiewicz and his co-workers were helping Jews. Our sightseeing includes also visiting the preserved fragments of the Ghetto wall. 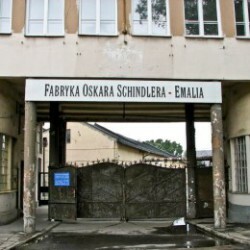 Oscar Schindler was a German manufacturer, who employed hundreds of Jewish forced laborers in his Krakow plant. When he realized, how terrible is the fate of the Jews under the German occupation, he began to protect his employees. Over a thousand people escaped extermination in the death camps thanks to the work in his factory of ammunition and enamelled products. The whole amazing story was told in the Steven Spielberg’s film Schindler’s List. Nowadays, there is an excellent museum in the buildings of the former factory. Authentic memorabilia of the past, numerous multimedia and paratheatrical scenery make the exhibition Krakow – Nazi Occupation 1939-1945 a very suggestive reconstruction of the past, traumatic reality. It is possible to visit the museum with one of our professional Krakow guides after the Krakow sightseeing by melex.